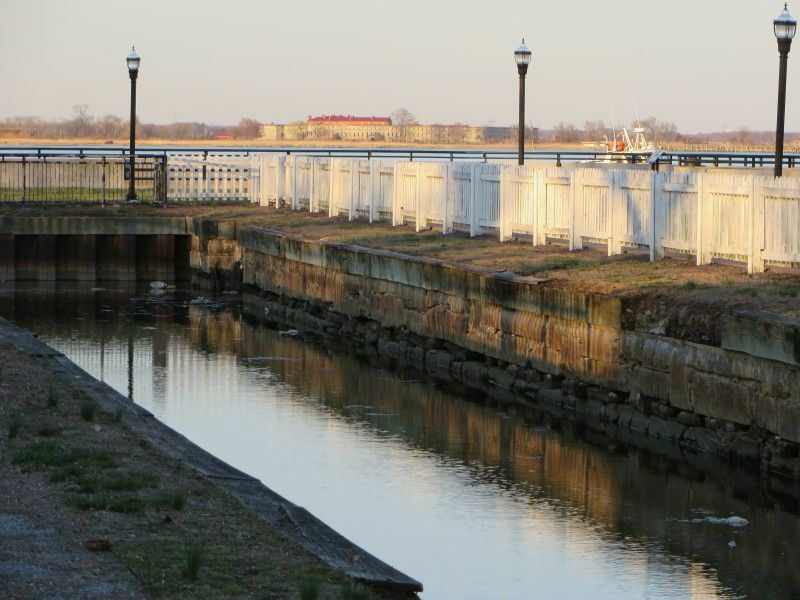 The last remaining lock on the Chesapeake & Delaware Canal sits in Battery Park in Delaware City. The lock was originally built in 1825, and was rebuilt in 1854 when it was widened and lengthened. The canal cut shipping time between Philadelphia and Baltimore, and lead to the growth of Delaware City. Off in the distance is Fort Delaware, a Civil War fort used as a prisoner-of-war camp. Photo by xzmattzx.